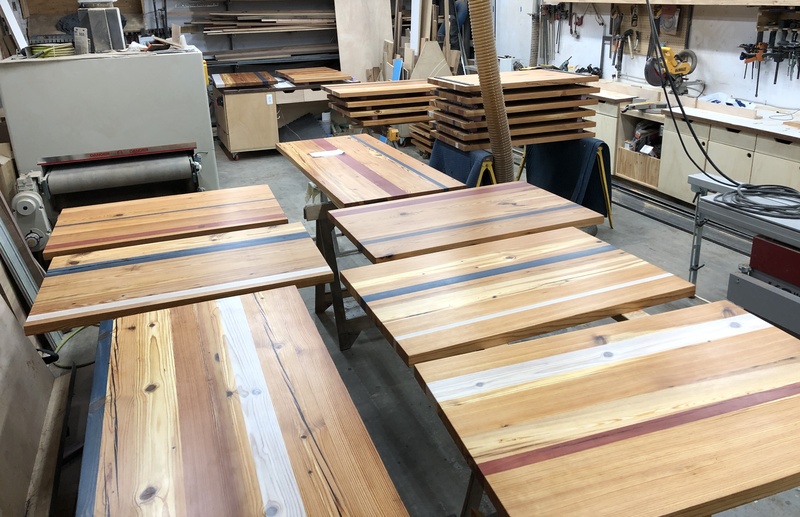 Brian, Don and Mark have been busy the last few months in the shop, and here is a little peek at some of the work they’ve been doing! 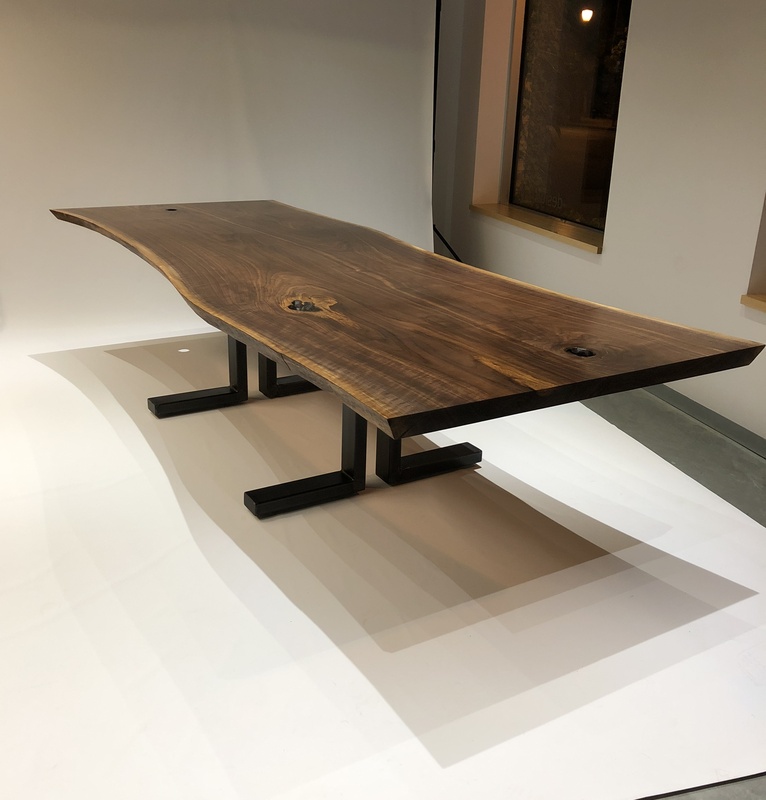 Live-edge walnut dining table with removable leaves on each end. 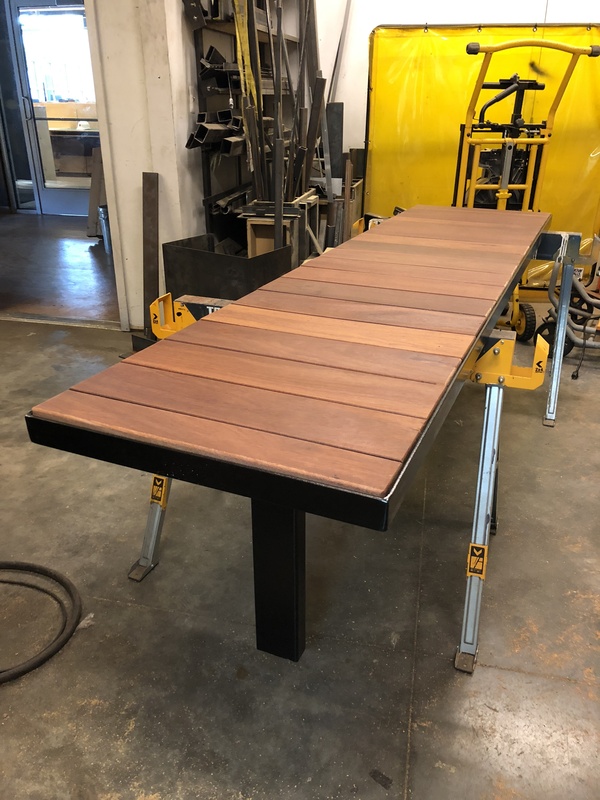 Modern outdoor bench for the pickup area at the Montessori Lab School in Grand Center. 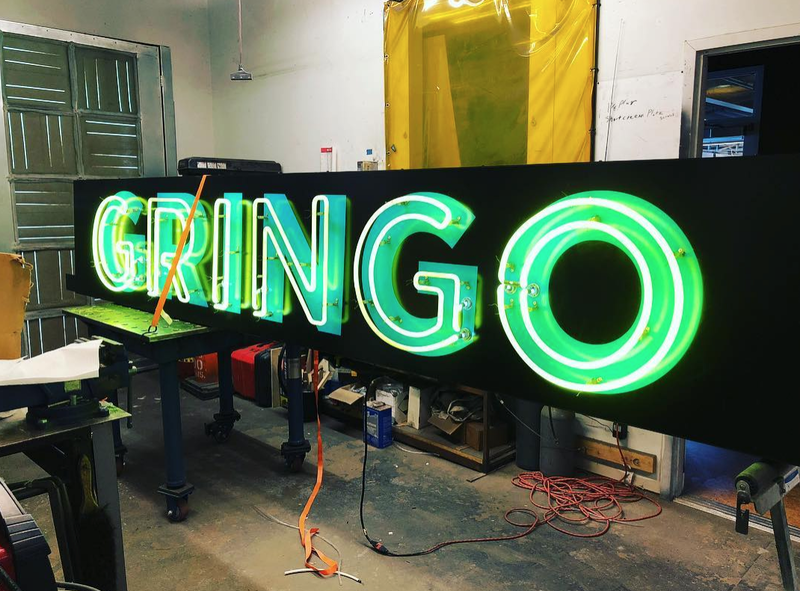 We pulled the old Gringo sign out of storage, and Brian brought it back to life for its new home at the Mercantile Exchange downtown St. Louis. Assortment of over 30 branded tabletops for the new Mission Taco in Kansas City. 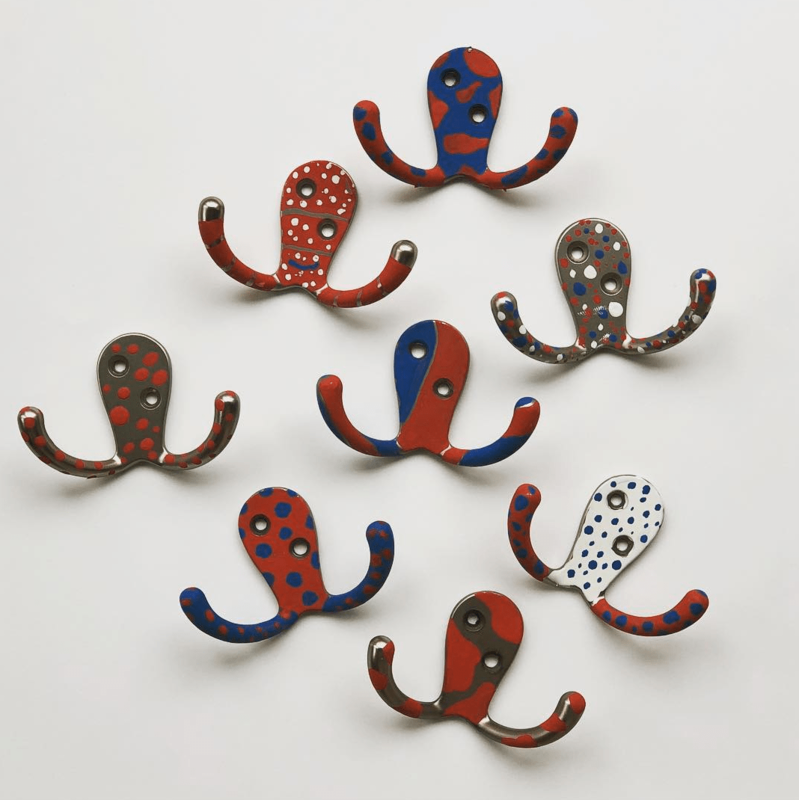 “Drunk Octopus” handbag hooks for the bar at the new Mission Taco in Kansas City. 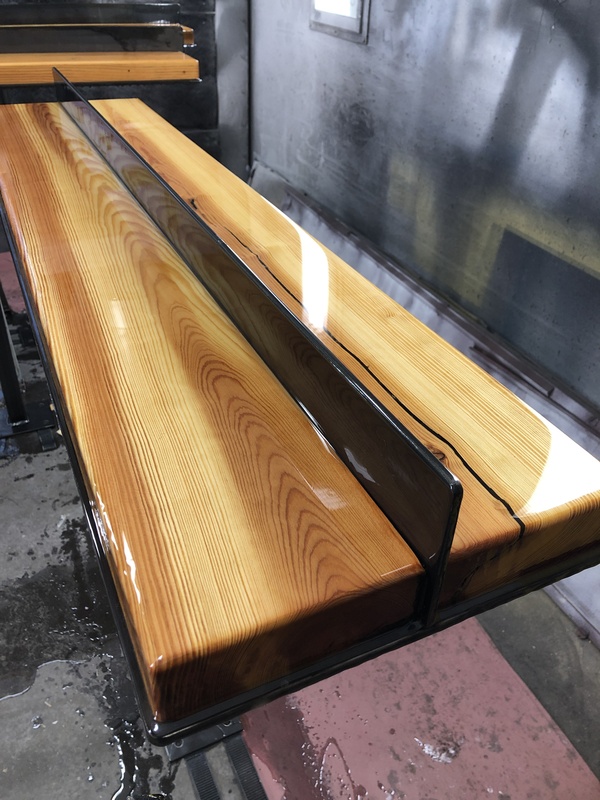 A pine and steel drink rail for the new Mission Taco in Kansas City. 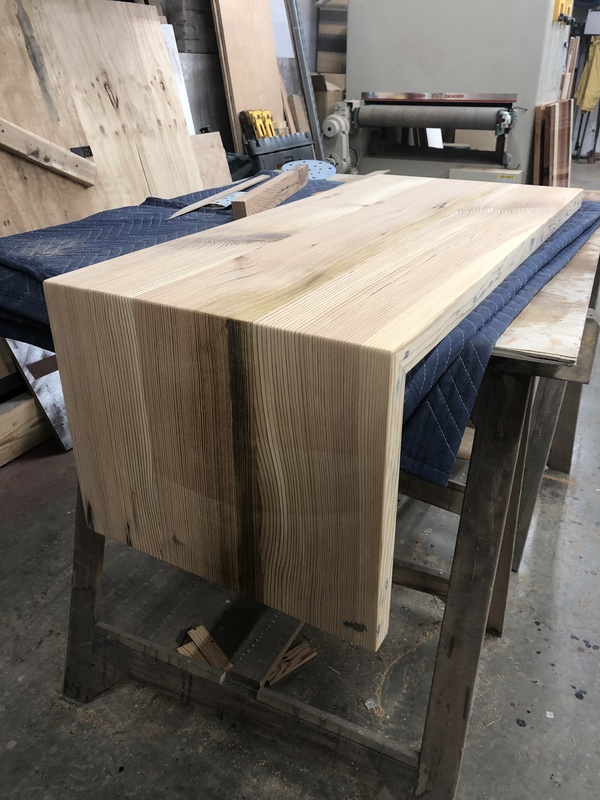 Waterfall edge detail on a residential coffee table.